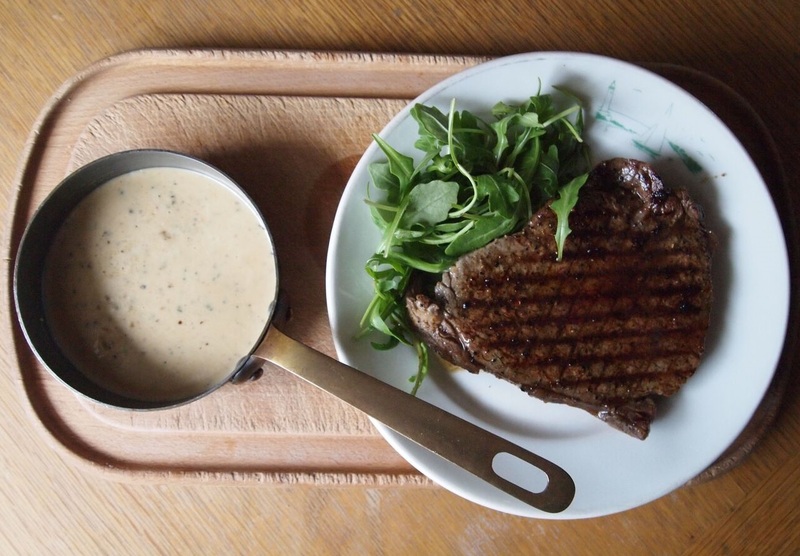 A restaurant stalwart, the only thing that beats a classic Steak au Poivre with Peppercorn Sauce is two Steak au Poivres with Peppercorn Sauces. A good peppercorn sauce is magic. It transforms a meal. (We may be biased here, we don't put sauce on food, we put food under sauce). Start with amazing ingredients and let the magic unfold. In the traditional World of Magic there are only 4 basic tricks; the prediction, the production (making something out of nothing), the transformation (changing something from one state to another) and the vanish (making something disappear). Here we predict you will love this sauce and after producing something seemingly made of nothing, the transformed steak will simply vanish. The only question will be – what to do for an encore? Heat a separate pan until hot and add the brandy. (Avoid fire!) Heat until the alcohol evaporates and two tables spoons of brandy are left. Add the beef stock and reduce by half until syrupy. Add the cream sauce base. Reduce until it reaches a creamy mayonnaise like consistency. Add the roughly cracked Tellicherry Black peppercorns at the last minute (this adds heat and aroma at the end). Stir Well. Spoon on Peppered Steak*, with side orders of well salted Frites and buttered petits pois. Serve with a Magic Wand. Tah Dah. Watch in amazement as the meal disappears in front of your very eyes. Marinate steak in advance. Coat rump steaks with olive oil, Fleur de Sel salt and Tellicherry cracked black pepper. The longer it marinades the better; 4 days is perfect, 1 hour is ok. Remove from fridge for 1 hour before cooking in order to get an even cook (not too cold in the middle). When cooking in a pan , turn regularly for an even cook.